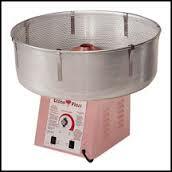 We have 2 cotton candy machines available for rent. We sell Cotton Candy Supplies in many different flavors and options. Cotton Candy Cones $3.00 per 25. All Inflatables and Concessions are subject to a Delivery fee, always depending on the location. Learn more about our delivery rates.